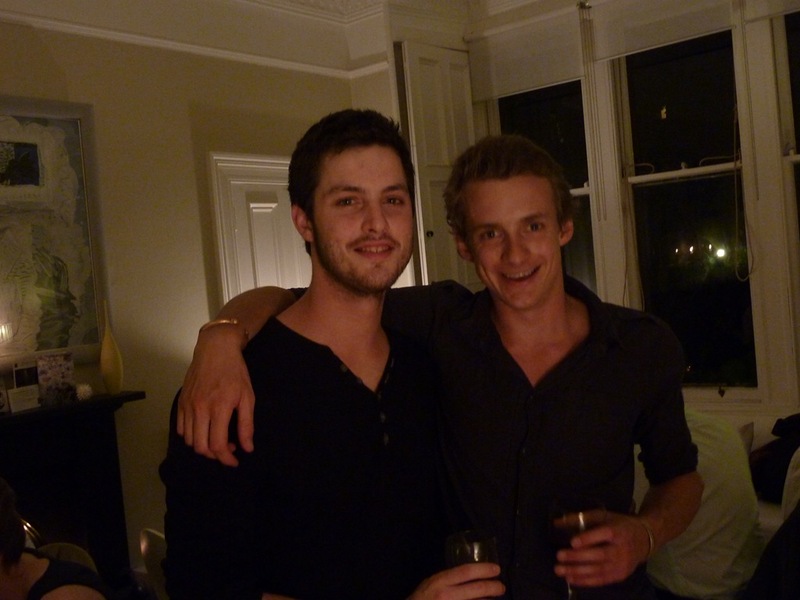 Earlier this month we went along to Crescent Secret Supper Club hosted by Jethro & Calum – friends and recent graduates – in Calum’s mum’s lovely home in central Edinburgh. If you’re a regular reader you’ll know how much I love these wonderful dinners hosted by cooking enthusiasts in their own homes. It’s always a pleasure. 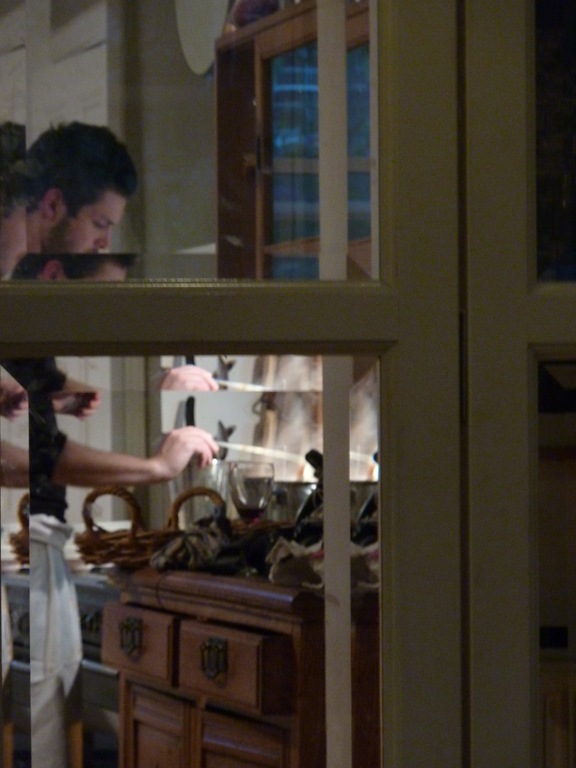 And it’s very exciting to see more pop-up restaurants popping up in Edinburgh. 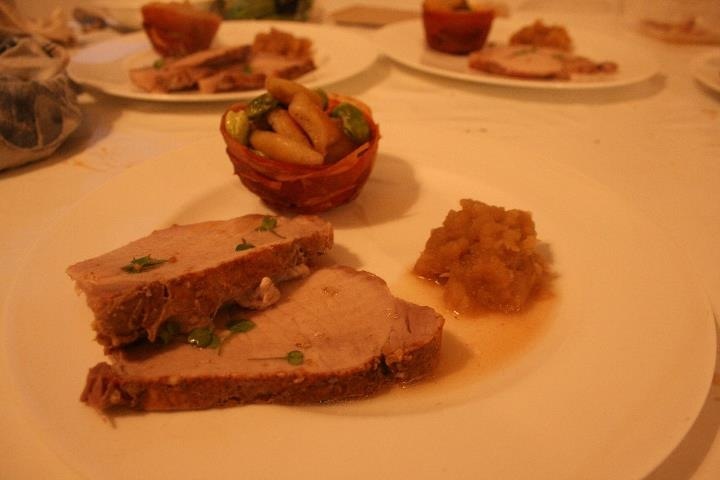 We’ve so far tried Charlie & Evelyn’s table, Kitchen Porters and My Home Supper Club all of which have been superb. All but one of the food pictures are from Jethro & Calum’s website. You can see more pictures here. Calum and Jethro really like to give themselves a challenge. As if cooking for 12 paying guests (harsher critics than friends!) weren’t enough, they offer choice for each course. 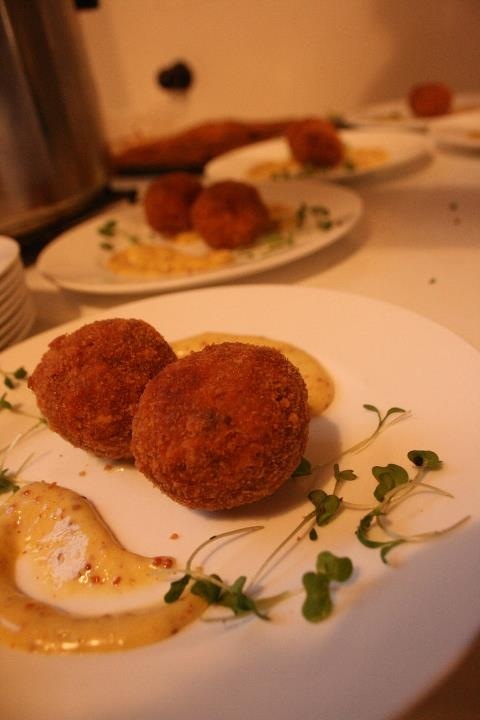 To start we chose from scotch quails eggs with mustard mayonnaise and cress or roasted pepper and tomato soup with homemade basil bread roll. I had the quails eggs which were divine. Crispy on the outside and soft in the middle, without the eggs being overdone. A mouthwatering start. 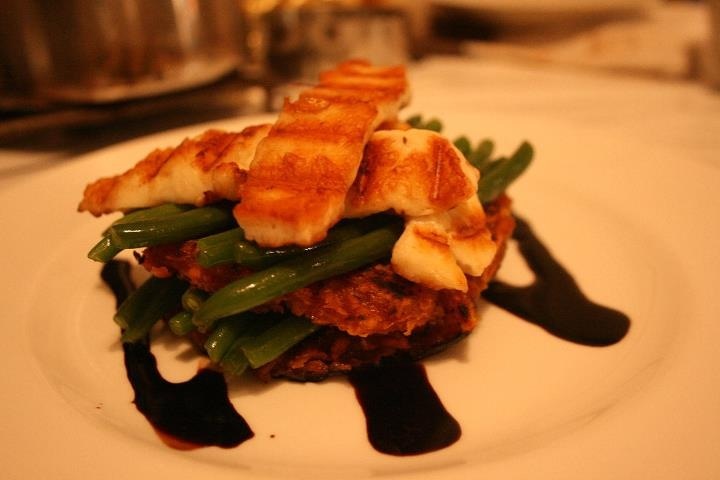 For main, the vegetarian option was grilled haloumi with butternut squash and sweet potato rosti with green beans. As you can see it looked beautiful and those who chose it said it was delicious. 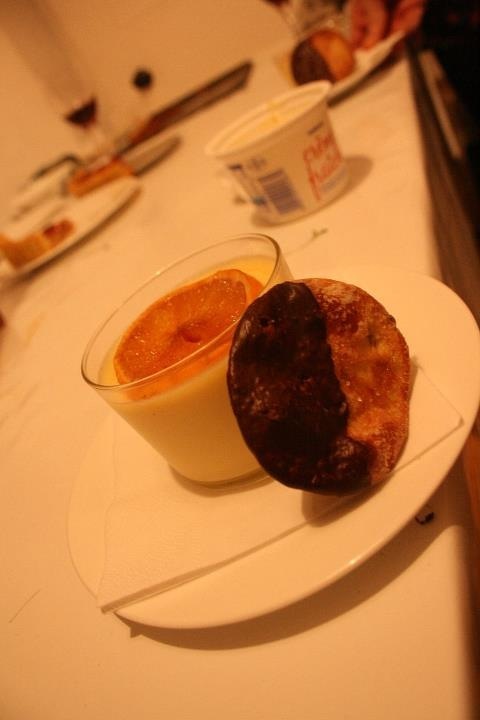 To finish, orange possett with a chocolate-dipped olive oil biscuit and caramelised orange slice. Rich and creamy this was an mmmm and mmmm heavenly note on which to end a delicious meal. And I can’t end without a mention for the lovely Becky, she and Ewan (Calum’s brother) were wonderfully attentive and looked after us all evening while Calum and Jethro did fiddly things with quails eggs and made baskets out of pancetta for our pleasure. It was worth it guys. A lovely evening. Go if you can! 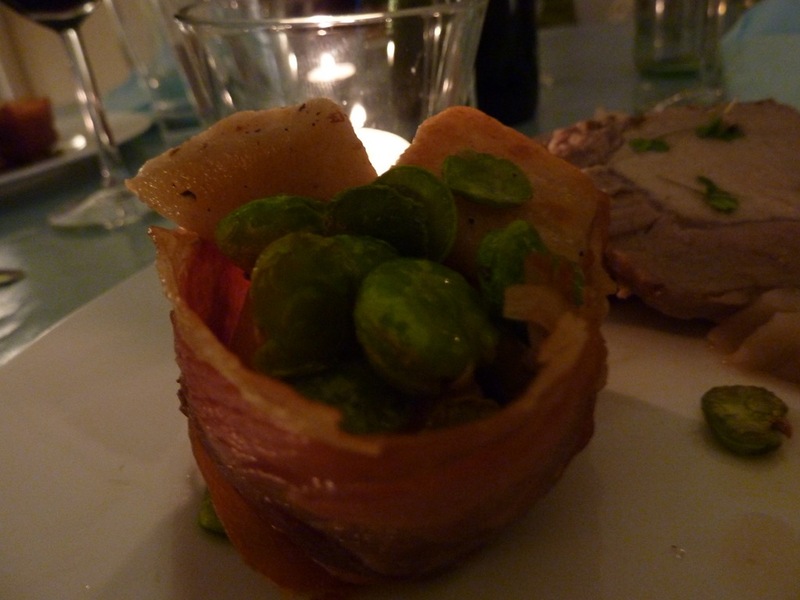 This entry was posted in Secret Supper Clubs, Social and tagged Crescent Supper Club, Secret Supper Clubs.